Published July 31, 2016 at 1600 × 980 in 21. World War I & Its Aftermath. 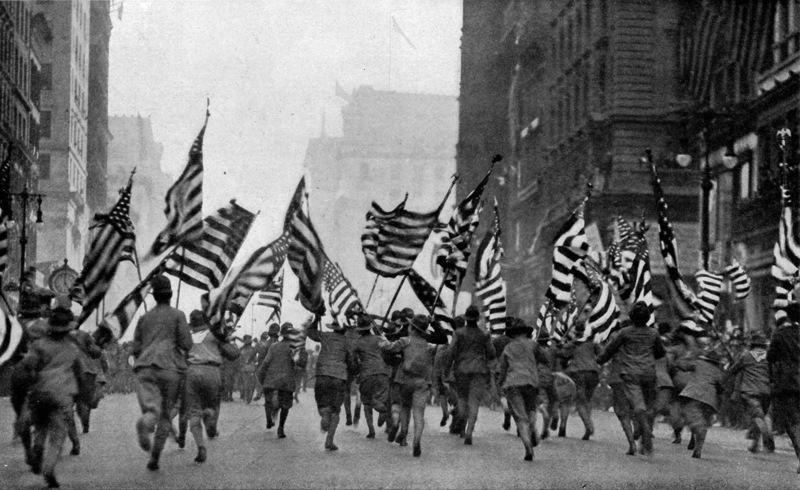 The Boy Scouts of America charge up Fifth Avenue in New York City in a “Wake Up, America” parade to support recruitment efforts. Nearly 60,000 people attended this single parade. Photograph from the National Geographic Magazine, 1917. Via Wikimedia.